(click here to get a FREE autographed copy sent to you). Using this information to create your life's "Happiness Plan", will lead you true and complete life-long happiness. Taking this a step further, from my perspective, this is why it is so hard for most people to be truly happy in life. It’s complicated, no doubt, but as I describe in my book, there is a foundation to happiness such that, if that foundation is built properly, you can (and likely will) achieve true and complete happiness; but if not, it is very difficult to be really happy. 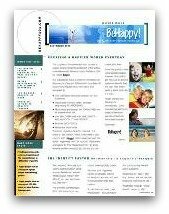 Here at BeHappy101.com, I’m going to break this down into a 4 or 5-part “series” (so to speak) that will guide you toward building that foundation. Each of the parts of the series will explore the points listed above, which if you follow through with the series, you’ll have a solid foundation for happiness. 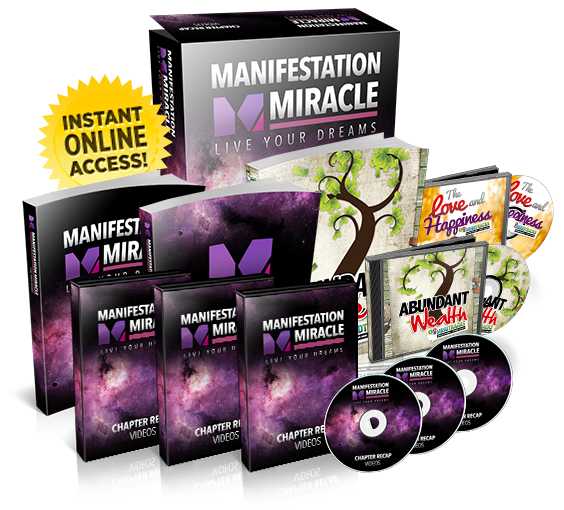 I will go through each of the 4 topics above, one-by-one, so you are best prepared to create your happiest possible life. And the order is important. For example, you can't really figure out your true personal Definition of Happiness until you know the other 3 parts of your life (which is why most people THINK they know what would make them truly happy, but really don't). That's why there are so many people who seem to "have it all" (fame, wealth, success, a great career, etc.) but are still unhappy or even depressed (think about people like Michael Jackson, John Belushi, and many others). As described in my book, as a bit of background, it is important to first consider the relative correlation between the first 3 of the 4 personal life "traits" listed above - your identity, purpose and passions, and the degree to which they can influence happiness. As you can see from this chart, I feel your identity has the most impact on happiness (of these 3 components). Your identity refers to knowing who you are as a person and living consistent with that identity. Next in importance, after your identity, is your purpose. This refers to why you are here or what you can contribute to the world to be happy. Finally, the third important factor relates to your passions or what you love to do to be happy. While these three components overlap quite a bit, they are really quite different in concept. 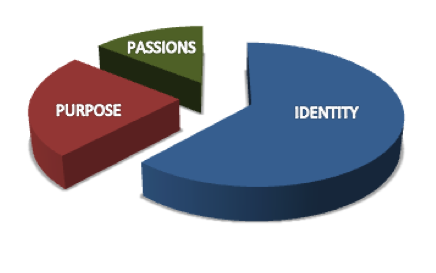 In other words, while defining your identity relates to your purpose and passions at various levels, all three must be addressed separately to be as happy as possible. Here in Part 1 of this foundational “series”, we will start with identity. 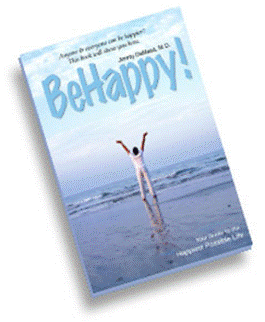 In order to be truly happy in life, we must all create our own personal “Happiness Plan” (again, I describe exactly how to do this in my book, BeHappy!). Basically, though, to create that Happiness Plan requires that you know your own personal Definition of Happiness (click here to learn more about how to know your Definition of Happiness). But before you can create your Definition of Happiness (and everybody’s is different), you need to know who you are (your identity), why you are here (your purpose) and what you love (your passions). So, as you can see, a key component of our ability to be truly happy in life requires that we first have an understanding of who we really are (i.e., our personal identity) and then making sure we live consistent with that identity. It means going through life as the real you. Whether it’s in a professional capacity (such as your job or career) or a personal capacity (such as raising a child), knowing who you are and living your life accordingly is essential to true happiness. Yes, if applied correctly, you can be truly happy if you are living in sync with who you are as a person. The converse is also true: you will likely be unhappy, at least to some extent, if you are not living in sync with that identity. the gap, the less happiness you will experience. The reason is, psychologically, people are only truly happy if they are living in sync with their personal “internal” identity. There is a lot of complex psychology associated with this concept (as with most other “happiness” discussions), but the key here is to understand your identify and use it as part of the process to life-long happiness. In exploring this issue, there are four key questions to ask yourself in defining the real you. 1. What is most important to you in life? The answer to this question establishes your values, which is essential in helping define your identity. And, living consistent with your values creates greater happiness. The converse is even more important since living inconsistent with your values is extremely unfulfilling and stressful. 2. What roles do you play in your life? 3. What are your standards and guiding principles? 4. What do you love to do (in other words, what are your passions)? See how there is some overlap here? We will get deeper into your “passions” as a separate component of this process in Part 3 of this series. These questions can sometimes be difficult to answer, but the deeper you probe and the more thoroughly you answer them, the more helpful they will be in defining your true identity and making you happier. So start by answering these questions for yourself. If you need help, get my book to guide you through some exercise to get to the best answers (click here and I’ll send you a free autographed copy or, if you prefer, you can click here to get it from Amazon.com for about $14). In Part 2, we will get into “purpose” as the next foundational component of happiness. Click here to go to Part 2.